While there may be concern in some corners of the Microsoft Dynamics ERP partner channel about Microsoft's ability to segment its ERP products and prospects between small, midmarket, and enterprise, Microsoft Business Solutions president Kirill Tatarinov repeated his existing strategy for Dynamics AX in the enterprise market this week at the JP Morgan Technology, Media & Telecom Conference. "We are going head to head [with Oracle and SAP] but we are also going into [their] environment and giving additional business workflows when they have [Oracle of SAP] in their headquarters," Tatarinov explained in response to an audience question about competing at the top of the enterprise market. He explained that the largest opportunities for AX lie below the Global 2000 companies. Microsoft is especially interested in opportunities they see in the pool of businesses in the $1B to $5B revenue range that "in our view... is open for modernization, and it is due for the ERP refresh cycle...it is a huge opportunity and that is where we see the biggest opportunity for Dynamics AX." 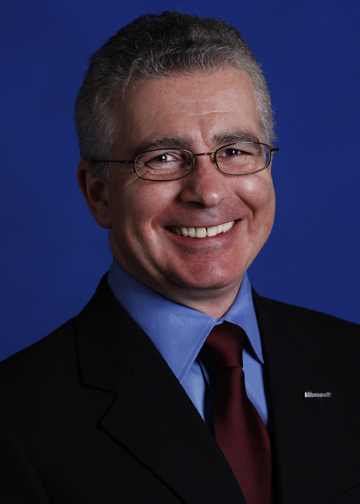 Who is Kirill Tatarinov: Kirill Tatarinov is president of the Microsoft Business Solutions Division (MBS) with responsibility for MBS research, development, sales, marketing, and operations. MBS develops and markets a portfolio of Microsoft Dynamics products and services covering a broad range of functions including financial, customer relationship and supply chain management (ERP and CRM) that bring simplicity, value and agility to organizations of all sizes.